Management of the data to support system operations and stakeholders, including system state parameters and metadata, telescope behavioural model, archival of M&C data, forensic tool for diagnostics, operator & engineer UIs. TM thus plays a key role in the running of the entire observatory, and interacts with all the elements (as illustrated in the figure below). Recent progress, current status and some of the challenges for the TM consortium are described below. The TM interacts with every other Element of the SKA, via interfaces to their LMCs, as well as provides the interface for operators, scientists and engineers to interact with the telescope. The PDR review for TM was held on the 7th – 8th of January 2015 at the SKA Office at Jodrell Bank. The panel, chaired by Hilton Lewis, was impressed by the quality of the work done by the collaborative, responsive TM team with deep understanding of the key design issues. The discussions during the PDR meeting were also very productive. There were a few areas identified by the review panel that required a better definition, most importantly those related to the concept of operations, for which a detailed document is awaited from the SKA Office. In order to formally close out the main unresolved items arising from the review, a delta-PDR will be held in the second half of August 2015. 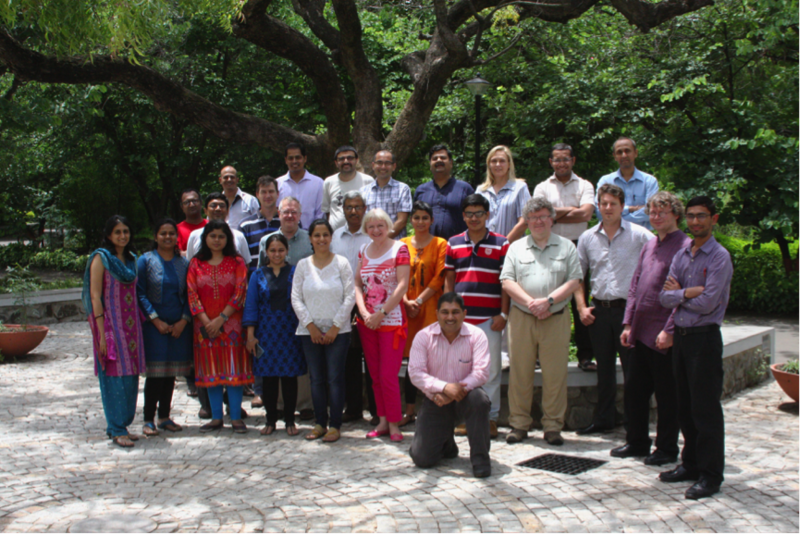 TM consortium team members at NCRA, Pune for the f2f meeting in June 2015. Since the TM talks to all the other elements via their Local Monitor & Control (LMC) units, it is important to have a common framework for these interfaces. The TM consortium has done a significant amount of work to come up with a unified approach which has been put out in a pair of documents – the LMC Scope & Responsibilities and LMC Interface Guidelines documents – both of which have found general buy-in and acceptance from the various Elements, following a meeting held between representatives of all the Elements at Trieste, Italy during the 25th – 27th of March 2015. The SKA Office is in the process of formalising the outcome of this exercise in the form of a SKA standards document. This should greatly facilitate the ease with which the different Elements interact and interface with the Telescope Manager. Post PDR review, the TM consortium had taken significant steps towards carrying out a technology selection process for the main TM design, as well as for the interfaces with the Element LMCs. This issue was discussed in detail in the LMC standardisation meeting in Trieste in March. The discussions were very productive and, after a detailed consideration of various technology options, the majority of the participants and stakeholders agreed upon TANGO as the technology framework of choice. Subsequently, the TM consortium also organised a special 2-day training session for all interested in learning how to get going with TANGO. All the Element LMC developers have been encouraged to include TANGO for their detailed design work, and the SKA Office is expected to put out a formal note on this SKA project-wide standardisation. 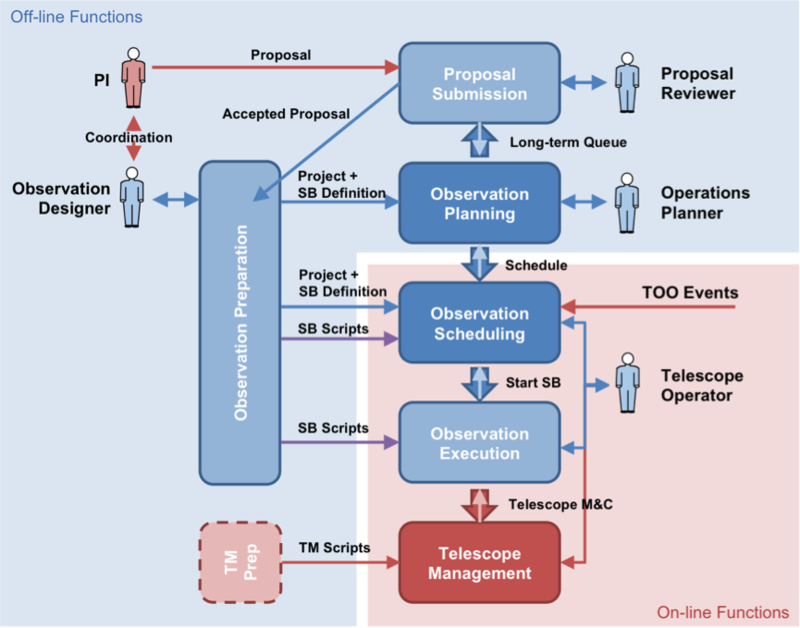 Observation Management is responsible for all science-oriented aspects of the control of the SKA telescopes, from proposal submission and handling through to the science aspects of the scripts that perform observing. Observation Management is thus a critically important part of the overall SKA TM system, and getting it right is essential to the success of the SKA in its aim to deliver world-class science. The figure illustrates the flow of science information through the SKA Observing System. Accepted proposals are input to the Observation Design process, creating Scheduling Blocks (SBs). SBs allow the planning function to create long- and short-term queues, and the short-term queue is then carried out at the telescope, with SBs executed in the form of their science scripts, interacting with Telescope Management sub-system of TM. 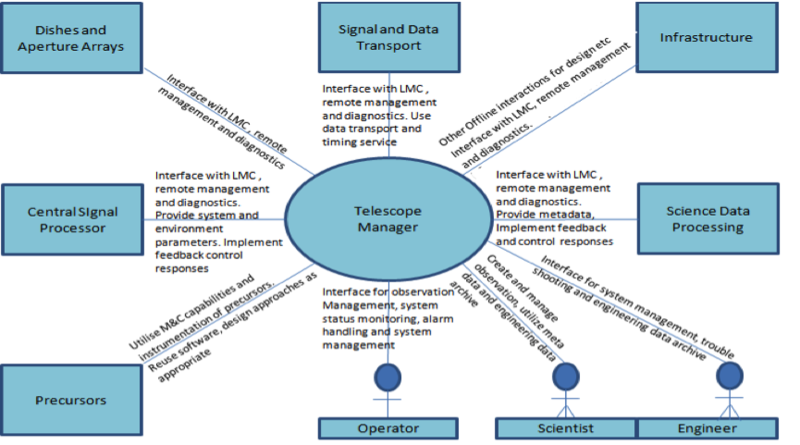 Illustrating the flow of the science information through the SKA Observing System, as presently envisaged in the design of the Telescope Manager. There are distinct off-line tasks related to proposal preparation and submission, proposal review and long-term observation planning and preparation, as well as on-line functions that relate to short-term observation planning and execution, including handling special requirements like Target-Of-Opportunity (TOO) observations. 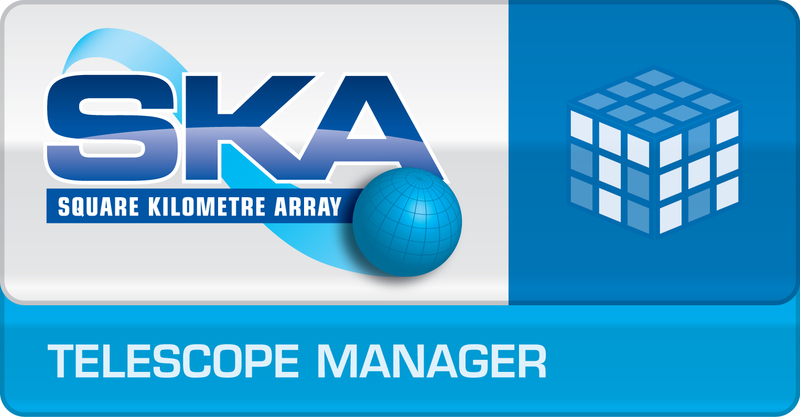 The Telescope Management sub-element of TM performs the actual monitor and control tasks to coordinate the activities of all the other Elements of the SKA to carry out the science observations, engineering maintenance and other life-cycle tasks of the observatory. The key to its functioning is implemented as a Control System comprising a hierarchy of control nodes or agents assuming diverse control responsibilities based on their roles. Given the large variety and number of systems that it will eventually manage, the design of the control system has been proposed to be data driven such that a single generic control node could be developed and configured to the needs of the individual roles in the control hierarchy. 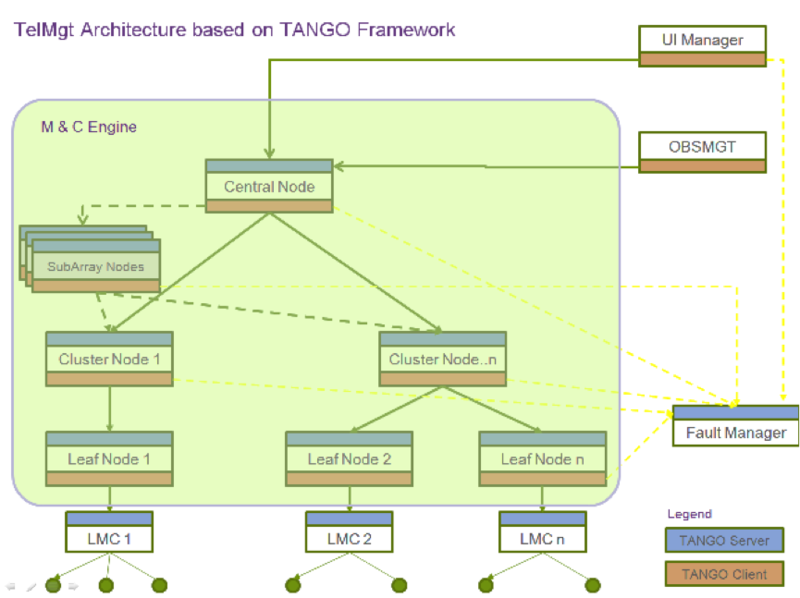 The selected control framework – TANGO – already provides basic capabilities for implementing this approach. However, the successful realization of this has significant dependency on the protocol to be used for communication with the different Elements of the SKA, such as DISH, LFAA, CSP, SDP and others. To mitigate the impact of such a dependency, the TM consortium has produced a set of LMC Interface Guidelines so that all Elements can have uniformity in their communication with Telescope Manager. 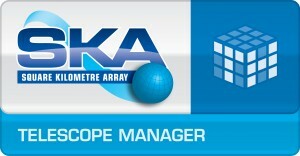 Illustrating the architecture for Telescope Management component of TM, as presently envisaged in the design of the Telescope Manager. It is based on the development of a generic node that can be reconfigured to fulfil different requirements in the control system hierarchy.